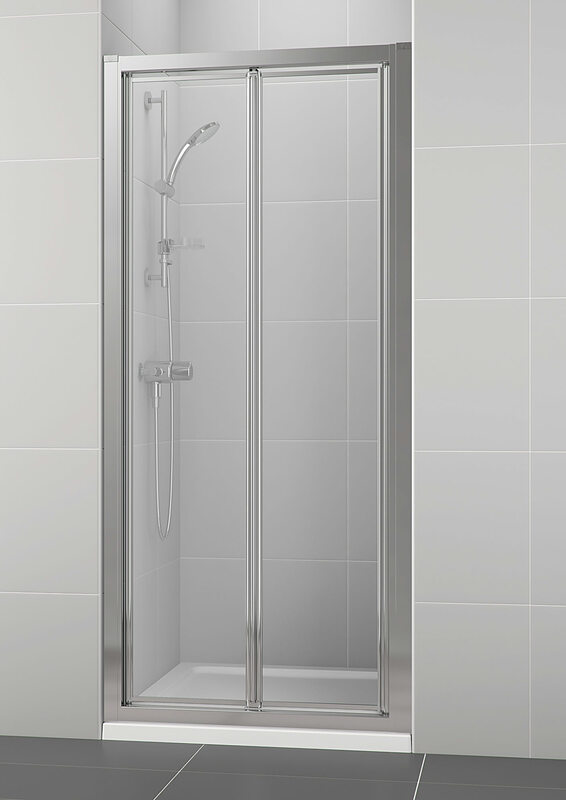 Idealite flexible waste pipe - L630801 [Optional]. 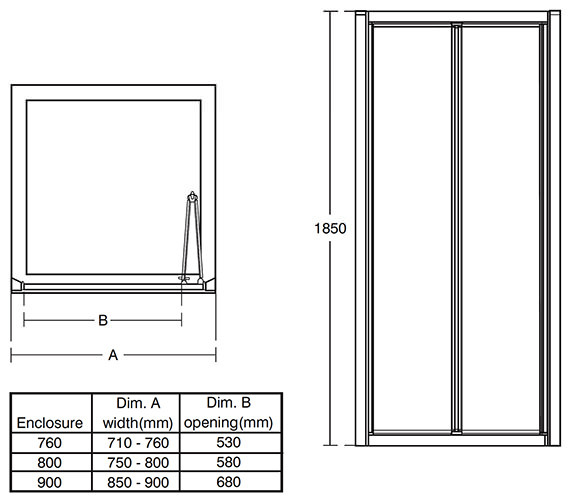 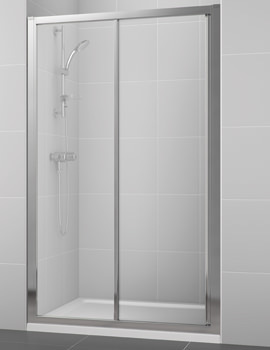 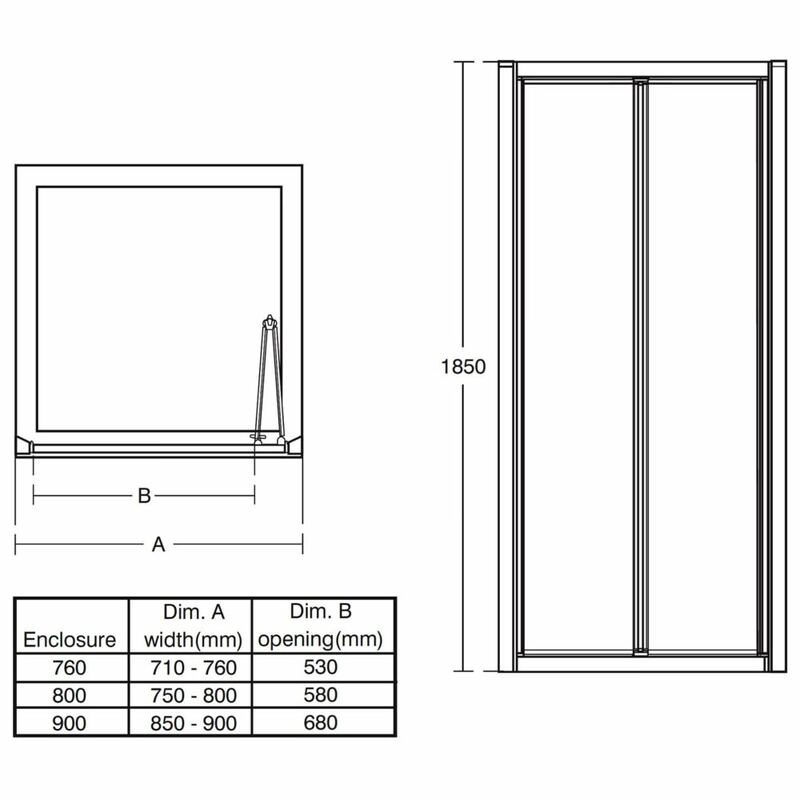 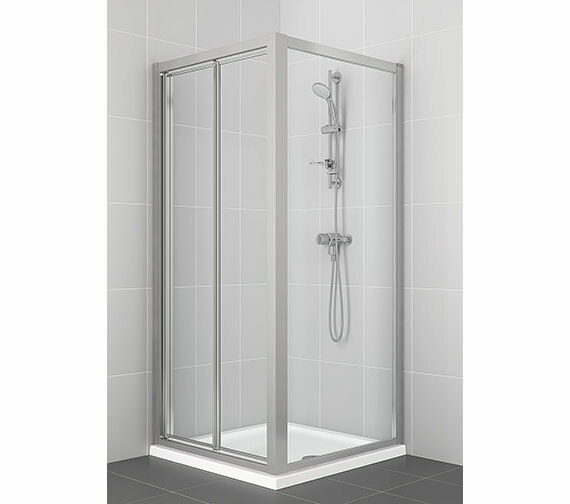 Ideal Standards exquisite Connect Bi-fold Shower Enclosure Door is fully framed and can be used in an alcove or with optional side panels for single wall or to create a corner wall enclosure. 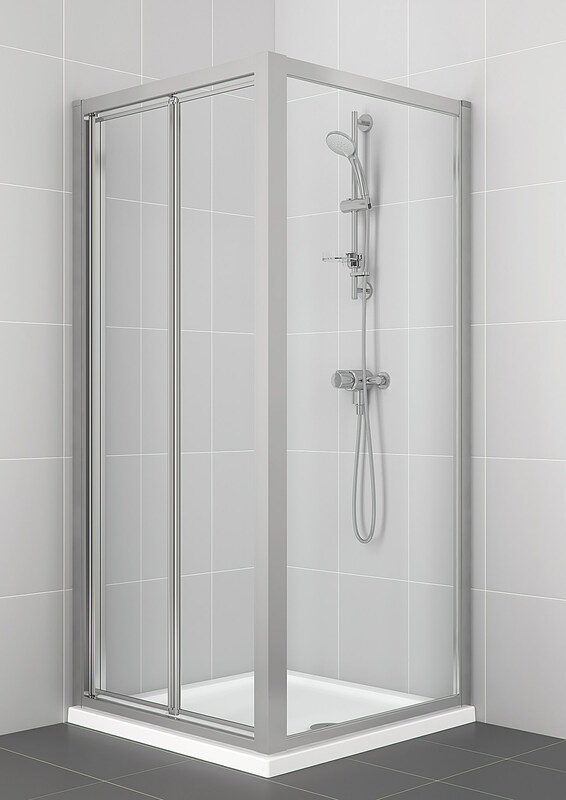 Crafted from clear, toughened power-shower proof safety glass and embellished with a silver finish profile, it features an integrated ergonomic handle. 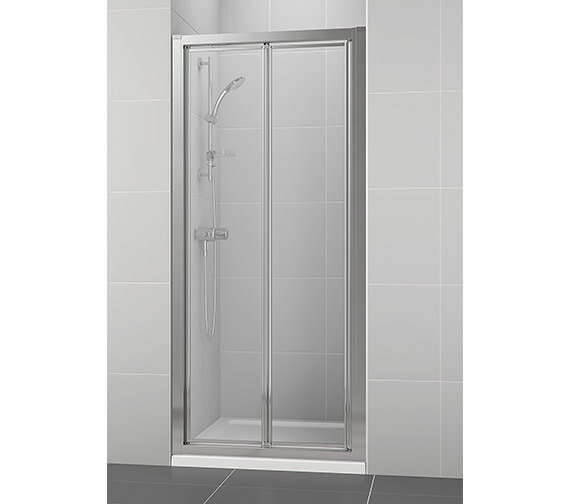 Inward as well as outward opening for complete convenience, it is fitted with smooth running wheels for easy handling and comes with horizontal adjustments for a perfect fit. 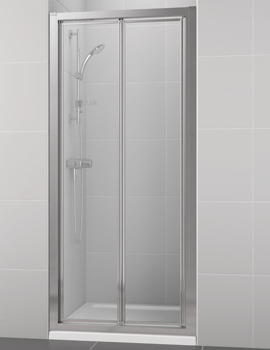 Guaranteed for ten years it comes to you complete with concealed fixings, easy click cover profiles and top caps.